Should you hire a personal assistant? Should you hire a personal assistant? It depends. Do you consistently have a lot of work on your plate? Do you find yourself perpetually juggling between multiple projects, sometimes to the point of dropping important responsibilities? Have you finally decided that you need to start delegating more? If you have the resources to hire someone on a full or part-time basis, it could be time to find a personal assistant. Maybe you’ve been seriously considering hiring one for a while, but you haven’t been sure if it’s the right idea to go ahead and do it. Or maybe, you simply don’t know where to start. At Magic, we’ve been hiring, training, and managing teams of excellent personal assistants for the last four years. Learn more about Magic, and how we offer a revolutionary 24/7 personal assistant on demand. We’ve learned a heck of a lot in the process. We’d love to share with you some of what we’ve learned and the most common mistakes we’ve seen people make when they hire a personal assistant. How do you find a good personal assistant? The point of having a personal assistant is to save time. That being said, if you’re really busy all of the time, you’re going to be in for a rude awakening during the first few months, when the process of getting an assistant started actually takes more time than it saves. Finding a great assistant and having them directly report to you is lot of work – and it’s one of the main reasons people use Magic instead. Expect to interview anywhere from 5-15 candidates before finding someone who meets your criteria. Each interview should be about 30 minutes of your time if done over the phone and at least an hour if meeting in person. You also need to spend considerable time, energy, and money working with a recruiter or recruiting platform. If you find an assistant that meets your criteria, you need to negotiate their compensation, responsibilities, and schedule. If they have a job already, they will need time to transition from their current job to working for you. Your life is complex. In order for your assistant to dive in and seriously help you, you’re going to need to spend time successfully onboarding them. This involves giving your assistant access to your online life. You’ll need to give your assistant access to a password manager, or find a way to interface with their own accounts so that they can get work done, like responding to your emails and handling your scheduling for you. Your assistant also needs time to learn the ropes about who is who and what is what in your life. There are serious privacy and security concerns you’ll need to consider if you’re going to have an assistant deeply integrated into your life. For most tasks, expect your assistant to take three to four times longer at getting things done than you would take. This is because your assistant doesn’t have the same access to and context about your life that you do. Also, there are tasks you may want your assistant to do that they just don’t have any experience in handling. This is a downside to hiring a generalist. If, for example, your assistant is not a strong writer, and you suddenly need a lot of writing done, you either have to spend time training your assistant on clear, effective communication, you need to willingly accept sub-par results, or you need to hire someone else. Your assistant is your employee. You are responsible for handling their complaints, giving them a raise when they have been with you for a while, letting them know when they have underperformed, praising them when they have done a good job, etc. You must also fire them if they are repeatedly failing to hit the mark. Do not underestimate the work involved here. You don’t want to be a negligent employer – you’ll make someone less than happy about their job, and you won’t get good results. Even if you find someone who is a perfect fit, they won’t stay with you forever. Among jobs started by workers with ages from 25 to 29, 87 percent had an average length of employment of fewer than five years. If you’re hiring part-time, it’s even more likely they will eventually leave and move out into a more permanent role elsewhere. You can either develop a backup plan ahead of time, or hope they give you enough time when they decide to quit to help you transition into another assistant. Is hiring a personal assistant still a good idea? If you’re excited about handling all of these responsibilities yourself, then yes, it’s probably a good idea for you to hire your own assistant. Having an assistant will allow you to nearly double the work you’re capable of performing. It can often be the best next step to accomplishing your goals, both personally and professionally. We built Magic in order to offer the benefits of a personal assistant without the huge upfront cost in time and money. With Magic, you don’t pay a monthly salary. Since you access a shared team of personal assistants, you pay-as-you-go. You also don’t need to hire, train, or manage your assistant either. We handle all of that for you. If you do decide to hire your own assistant, or if you use Magic instead, you’ll want to learn the principles of successful delegation. Your assistant is only as powerful as your ability to delegate. Want to have a personal assistant but don’t have time to go through the hiring process? Try Magic and start practicing how to delegate. Learn more about Magic here. A personal assistant in Indianapolis is a great help especially for children whose parents are both working or for a single parent family. A child can bring laughter, fun, and excitement to a family; but making sure of your child’s well-being is a big responsibility and needs sufficient time and attention. Parents who are working should greatly consider having a personal assistant who can assist them in taking care of their child. A childcare personal assistant makes sure that your child is doing well whenever you are not around or busy at the moment. In the Indiana state where Indianapolis is a part of, 33% of the families living there engage in family-based childcare in the last decade. Also, there are at least 632 licensed childcare facilities in the said state. If you want to seek help in taking care of your child, here is a list of things that you need to consider in searching to ensure your child’s safety and wellness. He or she should be able to communicate well with your kid. Your personal assistant should be able to help you in checking the situation of your kid. To do this, he will need to talk to your kid and ask him how he is doing or where he is. Your child must be able to respond to him without problems. A childcare personal assistant should be familiar with your area and its key places like your child’s clinic location, your office location, your child’s school, and the nearest hospital for emergencies. He or she must be able to locate your child easily and wherever he wants to go. He or she must be keen and observant. Children are a lot to handle. They’ll go to places wherever they want or put random things in their mouths. Your childcare personal assistant must keep an eye on all of your child’s activities. He or she must be friendly. A child needs someone who is gentle and fun to be with. Being left with a stranger is already too much for a little kid so make sure he or she is left with someone who will give him a fun and enjoyable time. He or she must have necessary skills. For times that you need to go on business trips and need to hire someone to look after your kid and take care of your home, your personal assistant must be qualified for this job. Where can you find a childcare personal assistant? A childcare personal assistant should have at least received a generalist course in Safeguarding Children. This can guarantee your child’s security under the personal assistant’s hands. To find the right childcare personal assistant, you should carefully interview and look for the one who fits your needs. Why not let Magic do it for you? Magic cares for you and your child as well. Magic is an online concierge service which will do the job of finding you the right childcare personal assistant. It will go over hundreds of personal assistant profiles to find the one who fits your preferences. This will save you the time and effort of looking for one. With Magic helping you in looking for a childcare personal assistant, you can focus on other things. Magic can also help you in finding a home care service or childcare service. If your child is old enough to be left alone, Magic can be your virtual childcare personal assistant who will look after them. The innovations in technology continue to provide individuals much-needed assistance which is why virtual personal assistance services are warmly welcomed. Virtual personal assistants services connect you to real people who operate online to provide you with what you need. Depending on the amount of help you need, you can hire one or more virtual personal assistants to carry out specific tasks. Sometimes it can be overwhelming to think of how to best use a virtual personal assistant. Below are some of the most common services that are requested of virtual personal assistants. Guest blogging on relevant third party sites. These tasks are the most common services sought from virtual personal assistants. Because of their specialized skills and efficiency in accomplishing their tasks, they are able to finish a task faster without sacrificing quality. If you have a lot of tasks that you need to get done and may be having some difficulty in finding different virtual assistants to carry them out, you should try looking for a virtual assistant who can do all of this for you or find the right people who can. Magic is your personal assistant on demand who you can contact 24/7 from wherever you are. Whatever type of virtual personal job that you want to be accomplished, Magic will carry it out for you. Simply put, Magic is your all-around virtual personal assistant. You can request anything from Magic as long as it is possible and legal. For assisting you in all the virtual personal assistant services you need, Magic is your answer! Your personal assistant in Vancouver can be someone you can efficiently rely on if you plan to visit the area. Known for its amazing sceneries and breathtaking places, Vancouver is one great city to visit year-round because of its light winter and magnificent summer conditions. A Magic personal assistant assists you in finding the best things to do in Vancouver to make the most out of your trip. Doing so would save you the time and effort of finding the right destinations and activities. These are just some of the things that your virtual personal assistant can do for you. Since Magic is your personal assistant that will always look out for you, you can contact it from wherever you are. In case you need some help–or simply want to know something–while you are staying in Vancouver, let Magic happen! Magic is your perfect virtual personal assistant in Vancouver who will make sure you enjoy your stay and be worry-free! Most businesses have now made ways to make hiring assistants more cost-effective. One of which to is employ part time personal assistants (PAs). As a result, demand for part time PAs is growing with no signs of slowing down. Unlike full-time personal assistants who work 8 hours a day, part-time personal assistants can work on-demand. One of the problems with hiring a full-timer is that you will have to hope for the best that this one assistant is good at everything. Hiring a part-time personal assistant allows you to hire different individuals. You can be very skill-specific when hiring – making sure that they are experts on the task. A personal assistant who is already an expert will need less guidance, probably a check in here and there. This frees you up to focus on more important things. You can also be confident that the task will be carried out efficiently. Asking your secretary to clean your kid’s room is unprofessional. You can ask them to find someone who can, but that’s another person to pay. Some part time personal assistants are okay doing a broader spectrum of tasks – from transcribing to running errands. Magic is an on-demand personal assistant which can do whatever you request. Magic will save you from having to filter each part-time personal assistant from various sites just to find the perfect fit. 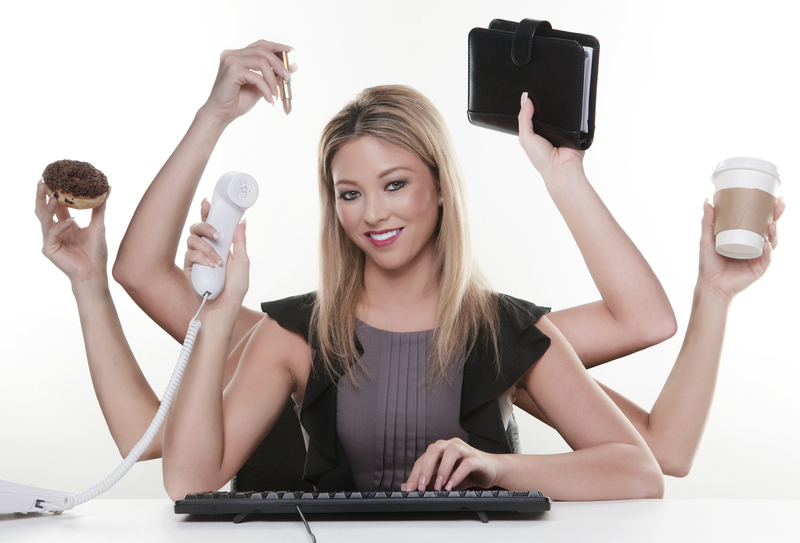 We have listed down the advantages of hiring a part time personal assistant. We hope this article helped you to decide whether or not a part time personal assistant is what you need. Small business owners, entrepreneurs and professionals are always looking for ways to cut expenses and maximize output. While hiring someone is certainly an additional monetary cost, the value you receive in freeing up time to work on more important tasks will almost certainly provide more value in the long-run. By delegating the menial tasks, you can focus more on running your business, closing more sales and raising your annual revenue. The rise of personal assistant services has made this possible. RedButler is a personal assistant service that is based in the US providing back-end virtual assistance to premium business solutions. They cater to a wide array of clients from small business owners to teams at Fortune 500 companies. The assistants are screened through a rigorous selection process and many have years of experience as executive assistants. RedButler offers 3 sets of plans: monthly, yearly, and hourly. The monthly rate starts at $450 which includes 15 hours of assistance. Fancy Hands is another US-based assistant service. Like RedButler, Fancy Hands can perform personal tasks or business related tasks. Fancy Hands offers two types of requests: a standard request where they will get back to you within 24 hours. This is ideal for requests involving research or a third party professionals. You can also place a live request where they will answer you within one minute. This is ideal for requests that must be done quickly like dinner reservations, appointment confirmations or directions. They offer monthly plans starting at $29.99 for 5 requests. One request is 20 minutes worth of work. Fancy Hands will work on any request as long as it doesn’t require the assistants to physically go somewhere for you. Virtual Assist USA is an all American team of concierges based in Pittsburgh. They provide assistance to small businesses, entrepreneurs, and managers. They are composed of 42-person virtual assistant team with experience in launching, running and growing companies. TaskRabbit offers a platform to connect you with independent contractors and experts in the task you need assistance with. TaskRabbit usually handles home related tasks like furniture assembly, moving assistance or tasks requiring a contractor or handyman. TaskRabbit recently started adding business related tasks such as research, proofreading and travel arrangements. Since TaskRabbit provides a platform to connect you with third party private contractors, prices will vary based on the contractor’s rates. Tasks Everyday is a San Francisco based personal assistant service that offshore’s its tasks to employees in India and the Philippines. They are one of the cheapest personal assistant company in the industry, but still provides quality service. They provide office administrative support, customer support, as well as back office and industry specific support to suit any businesses individual needs. This includes tasks such as web design, site maintenance and software development. Pricing starts at $6.98/hour. Their operation hours is available 24/7 Monday through Friday. Uassist.me is a personal assistant service located in El Salvador that offers bilingual English/Spanish services specializing in clerical and technology services like web design, social media management, and bookkeeping among others. The prices start at $299/month which includes 20 hours of assistance to use as needed. You can communicate with your assistant via phone, email, Skype, whatsapp, or any other form of communication you prefer. 24/7 Virtual Assistant is an Atlanta based personal assistant service but also has an offshore office in India like Tasks Everyday. They provide administrative support and other industry specific assistance to entrepreneurs, professionals, and executives. They offer two different plans depending on if you want offshore assistants or US based assistants. The offshore plans start at $299/monthly providing 24/7 assistance for 30 hours/month while the US plan start at $359 providing 24/7 assistance for 20 hours/month. Zirtual offers to keep your work and life balanced by providing that extra set of hands you need to manage your work. They are great for entrepreneurs, small business owners, and small teams. They can handle simple office related tasks allowing you to focus on the more important aspect of your career or business. Users get their own dedicated virtual assistant who will work with them on a one-to-one basis. You will always work with your dedicated assistant. You will need to negotiate the schedule of availability with your assistant, handle any training they need, and manage them yourself to ensure their workproduct meets your needs. Zirtual offers 4 sets of plans starting at $398/monthly which provides 12 hours of assistance per month. Magic is a text based personal assistant on demand. Magic is perfect for both personal and business related uses. They can do what most personal assistant services do. The personal assistants are highly trained college graduate who will work on your request relentlessly. Magic prorates to the minute at $35/hour. Using Magic is like having a relationship with someone. The more you use it, the more it gets to know you, and the better the relationship gets. Magic is available 24/7, 365 days a year. Two places you can hire a personal assistant for a day are through Upwork or PeoplePerHour. Both are sites where you can post a job listing for potential assistants that can work either per hour, or per day. Pro Tip: You can see what everyone that applies charges and you can choose the option that works for you. Upwork is a global freelancing platform where businesses and independent professionals (or contractors) connect and collaborate remotely. Formerly Elance-oDesk, it was re-branded back in 2015 and is now widely considered as the world’s largest online workplace. Upwork allows clients to view, interview, hire, train, and work with online freelancers. Started in 2007, PeoplePerHour is based in London and Athens. Contracts start from as little as an hour, ramping all the way up to months or years, allowing you to scale the work you delegate through them. They operate within the now highly sought after “Talent Cloud”, which has a talent pool of thousands, if not tens of thousands of qualified candidates. Both of these options do require you to place effort into researching, locating and dealing with the best candidates. You will need to interview, and negotiate rates. You will need to train and manage the contractor as well to ensure their workproduct meets your needs. 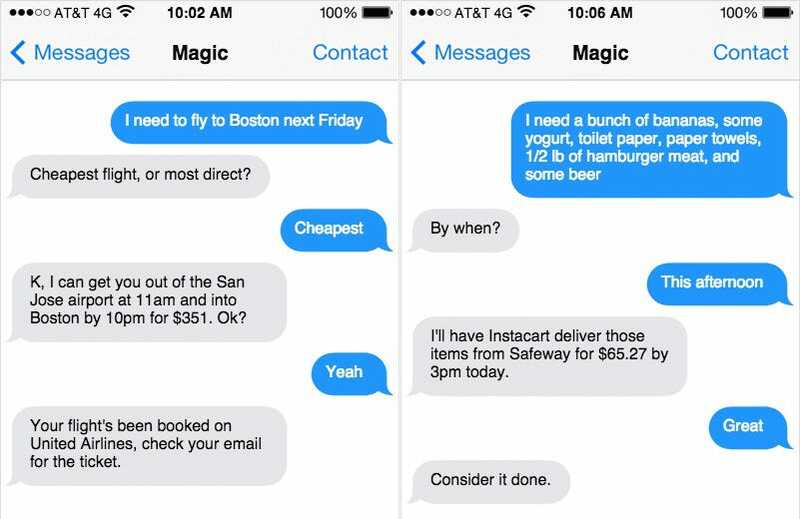 Magic is a personal assistant on demand that works via text. Magic is ideal for on demand services as well as personal related tasks like scheduling, calendar management, and travel planning among others. Magic provides a team of trained assistants that use proprietary software that enables them to always respond quickly no matter the time or day, remembers preferences and information and prevents tasks from being dropped or forgotten. Magic is available 24/7, year round- even on holidays. Magic is ideal for both business and personal related tasks like scheduling, calendar management, travel arrangements or grocery delivery among others. Magic provides a team of trained assistants that work with proprietary software that prevents tasks from getting dropped, and remembers preferences with ease. Magic bills at an hourly rate of $35 prorated to the minute for the time they actively spend working. Magic is available 24/7, 365 days a year. They can be your personal helper whenever you need one. Best Personal Assistant Services, Period. Modern technology has fueled our generation’s need for instant satisfaction. In this day and age, everything comes in an instant – instant news, instant food, instant cars, instant groceries – if you can name it, there’s probably an app or service for it. Naturally, we now have instant-humans in the form of personal assistant services! The following are some of the best personal assistant services and apps out there. RedButler is a personal assistant service that is based in the US providing back-end virtual assistance to premium business solutions. 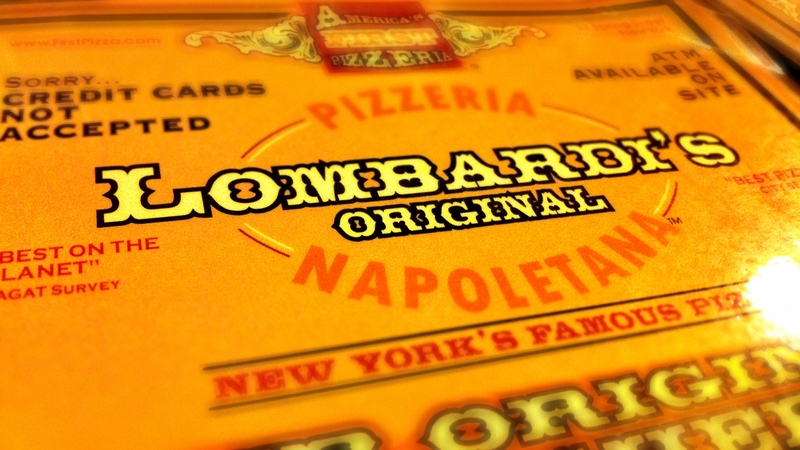 They cater to small business owners to teams to Fortune 500 companies. The assistants are screened through a series of selection process and most have years of experience as executive assistants. RedButler offers 3 sets of plans: monthly, yearly, and hourly. The monthly rate starts at $450 and includes 15 hours of assistance. They are ideal for tasks which involve continuous coordination with the assistants. Fancy Hands is another US based concierge service. They offer similar services to Red Butler from personal tasks to business related ones. They have two types of requests: a standard request where they will get back to you within 24 hours. This is ideal for requests involving research or dealing with the third party. They also offer a live request where they will answer you within one minute. This is ideal for requests that can be done quickly and have an approaching deadline like phone calls, reservations, etc. They offer monthly plans starting at $29.99 for 5 requests. One request is 20 minutes worth of work. They can do anything as long as it doesn’t require the assistants to physically go somewhere for you. FancyHands is great for small tasks in 15-minute increments. However, they are not recommended for more complicated requests like writing articles and business process tasks. Virtual Assist USA is an all-American team of assistants based in Pittsburgh. They provide assistance to small businesses, entrepreneurs, and managers. They are composed of a 42-person virtual assistant team with experience in launching, running and growing companies. They are ideal for technical or specialized tasks like web designing or social media management. They can assist with business strategy, business systems, public relations and SWOT analysis. Taskrabbit usually handle home related tasks like furniture assembly, moving and others. Only recently had they started adding virtual assistance to their services which include research, proofreading and travel arrangement. Since you are going to be working with third party contractors, prices will vary based on the contractor’s rates. Tasks Everyday is a San Francisco-based personal assistant service that offshores its tasks to employees in India and the Philippines. They are one of the most affordable personal assistant options in the industry able to provide quality service. They provide office administrative support, customer support and back office as well as industry specific support and services such as web design, website maintenance, and software development. Pricing starts at $6.98/hour. They operate 24/7 Monday through Friday but are closed on weekends. Uassist.me is a personal assistant service located in El Salvador that offers bilingual English/Spanish services specializing in clerical and specialized duties like web design and social media management, and bookkeeping among others. The price starts at $299/month which includes 20 hours of assistance, but larger packages can be purchased according to your needs. You can communicate with your assistant via phone, email, Skype, WhatsApp, or any other form of communication you prefer. They are ideal for industry specific tasks as well as administrative duties. Magic is a text-based personal assistant. You’ll have a team of human assistants working on your most complicated tasks- whether it is business related or personal. The human assistants use cutting edge artificial intelligence software to manage your tasks and remember your preferences. Magic is available 24/7, 365 days a year and also responds within seconds to minutes. Magic is perfect for on-demand tasks as well as administrative and clerical tasks. Magic prorates to the minute at $35/hour. There is no minimum fee or recurring fees and Magic can handle multiple requests at once. If you’re looking for the best personal assistant service, you should definitely try Magic now. You can choose to hire directly by using online job posting sites or rely on word of mouth referrals. You’ll have to put a little more work into the screening and hiring process if you want to be more hands-on in hiring a personal assistant. There are lots of online job posting sites where you can post an advertisement to hire a personal assistant in San Francisco. One of the most trusted site is The Personal Assistant Network. It is a private networking group for Personal Assistants and Estate Managers. The members are mostly based in the Bay area but they cater to people and properties globally. You can submit a job posting to gwyn@thepanetwork.com and they will find you candidates that meet your needs. Aunt Ann’s In-house staffing is a San Francisco based service where you can hire personal assistants. They specialize in exclusive staffing services, which includes Child Care Staffing, Household Staffing, Estate Staffing, Private Office Staffing, and Eldercare Staffing. Aunt Ann’s Staffing is located at 2722 Gough St San Francisco, CA 94123. You can also call them at (415) 749-3650 or check out their website at http://inhousestaffing.com/ for more information. British American Household Staffing is another go-to for hiring personal assistants in San Francisco. They have experienced, and qualified personal assistants, executive assistants, corporate staff, and social secretaries in San Francisco. Their services also include Newborn Care, and Household Staffing. Their office in the West Coast is located at 7083 Hollywood Blvd Los Angeles, CA 90028. You can also call them at (310)-592-7183. You can also check them out at http://www.bahsusa.com/. Christopher Baker Staffing is another trusted agency where you can hire a personal assistant in San Francisco. They are a small firm that specializes in household staffing, personnel staffing, and corporate staffing. They have a reputation of providing personalized and discreet staffing. Christopher Baker Staffing is located at 1049 Havenhurst Drive Suite 36 West Hollywood, CA 90046. You can also call them at (323)654-7900 or send an email to info@christopherbakerstaffing.com. You can also check out their website at http://www.christopherbakerstaffing.com. Domestic Match is the most exclusive domestic staffing agency in San Francisco. They match clients and personal assistants with outstanding service by making sure that each party is the perfect fit for the other’s needs. The candidates have a minimum experience of 2 years. Domestic Match has a one time registration of $300 to be able to start searching for personal assistants in San Francisco. First, a detailed initial screening where the agencies choose from thousands of candidates and screen the best of the best based on their skill set and experience. Next, a personal interview is conducted to make sure that the candidate not only has experience but a great personality as well. The agencies then look for recommendations from past employers of the personal assistants to verify their work experience. And lastly, an in house background check is usually conducted to ensure the safety of the clients. However, if you don’t want to go through all of that process, another option you have is Magic. Magic is a text-based personal assistant based in San Francisco. Magic works just like a real life assistant, except that it is available 24/7, year round (even on holidays). Text whatever tasks you need accomplished along with any preferences or instructions that need to be followed and Magic will get to work.